VANCOUVER — Of all the places least likely to see a revival of wild salmon, the southern Okanagan must top the list. 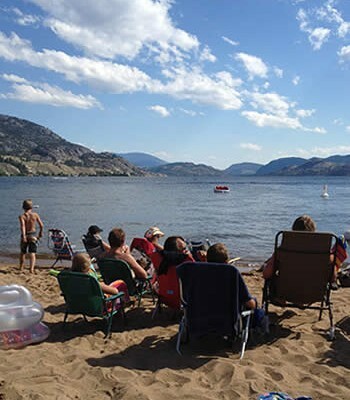 There, in Canada’s only desert, where summer temperatures routinely make Osoyoos the national hot spot and lake waters warm to 24 degrees, conditions seem ideal for rattlesnakes, sunbathers and vineyards – not a cold-water species such as salmon. But an experimental fisheries restoration project led by the Okanagan Nation Alliance is having remarkable results – producing a booming run of sockeye that, in a year of relentless bad news about salmon, seems almost miraculous. On the mighty Fraser River, sockeye stocks are hitting historic lows, and all along the West Coast, fisheries are being closed to protect endangered runs. But fisheries managers say more than 50,000 sockeye are headed back to the Okanagan River – a virtual flood of fish to a small system from which salmon had largely vanished. 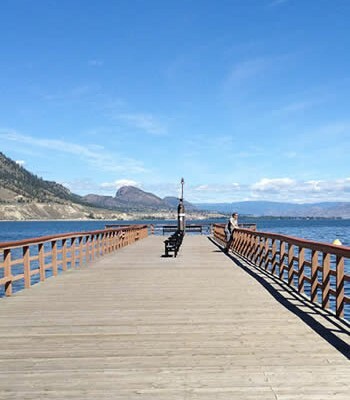 The Okanagan River runs south across the border near Osoyoos, to join the Columbia River system, which carves its way across Washington State to the border with Oregon, before reaching the Pacific. Canadian salmon must pass a daunting array of nine dams on the Columbia. Those dams, and others on tributaries, are blamed for reducing the Columbia Basin’s 10 million-to-16 million salmon run to less than 1.5 million fish. Although many tributaries of the Columbia lost their salmon runs entirely, others were kept alive because of efforts that included building fish ladders around many dams, catching and trucking migrating salmon past dams without fishways, and by building hatcheries. A small population of sockeye clung to existence in the Okanagan River near Osoyoos Lake, where about 14,000 spawners returned in 2003. 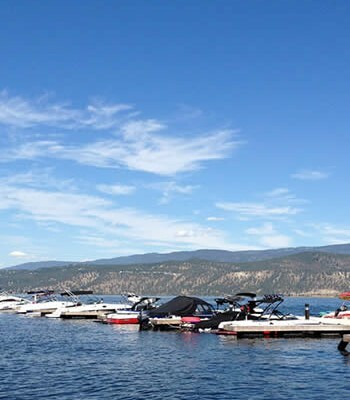 Decades ago, the run disappeared farther upstream in Skaha and Okanagan lakes because of an impassible irrigation dam on the Okanagan River near Oliver. 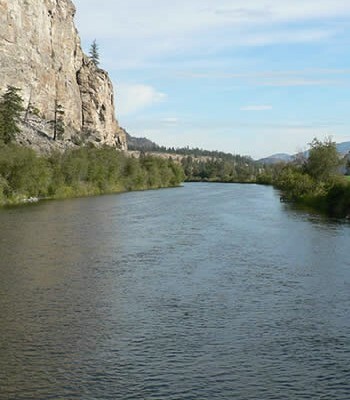 In 1997, the Okanagan Nation Alliance began exploring the possibility of restoring local sockeye stocks to Skaha and Okanagan lakes, in partnership with the federal Department of Fisheries and Oceans, the British Columbia government, the Colville Confederated Tribes in Washington State and the Bonneville Power Administration, a U.S. federal agency that markets power generated by Columbia River dams. Howie Wright, fisheries program manager for the Okanagan Nation Alliance, said the project began cautiously, with a three-year study to determine what obstacles had to be overcome, and what environmental risks might be involved if sockeye began returning to Skaha and Okanagan lakes.”A lot of mistakes have been made in the past, and we didn’t want to repeat any of them,” he said. 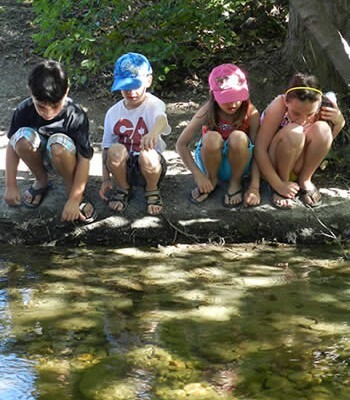 Mr. Wright said research identified no serious threats and in 2003, with a crowd of mostly aboriginal people watching from the river banks, fisheries workers began releasing sockeye salmon fry into Okanagan River above Skaha Lake. 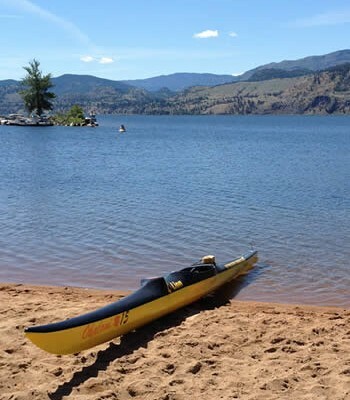 It seemed unlikely that those fish would ever survive the long journey down the Columbia and back – but last year, 1,500 adult fish returned to spawn in Skaha Lake. Going from zero spawners in Skaha Lake to 1,500 is impressive. But last week officials monitoring salmon coming up the Columbia got some even more surprising news. In-river counts show the Columbia River’s sockeye run has topped 193,000 fish – and 75 per cent of those fish are expected to return to the Okanagan River. 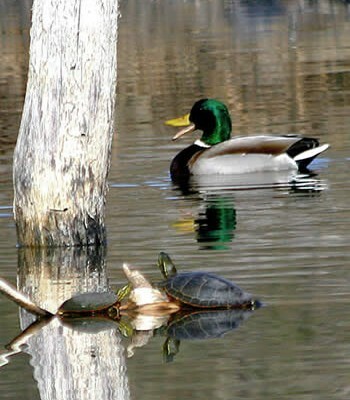 “This run has exceeded everyone’s expectations by leaps and bounds and may get close to 300K,” Peter McHugh of the Washington Department of Fish and Wildlife said in a recent e-mail alert. 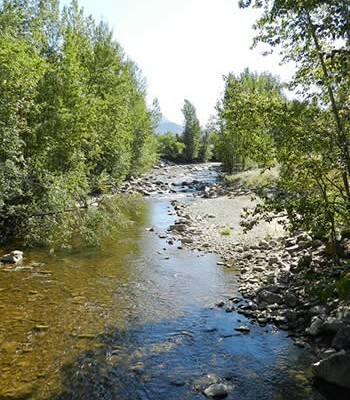 He said the Skaha Lake/Okanagan River restoration effort, a decision by U.S. authorities to help salmon migrate downstream by releasing more water from dams during spring migration, and good ocean conditions all helped boost the sockeye survival rate. Some of the salmon now making their way up the Columbia will be taken in fisheries south of the border and an unknown number will die in river as they migrate upstream, but barring any unforeseen catastrophes, the south Okanagan will see a record return of salmon this fall. With that many salmon returning to the Okanagan, aboriginal fishermen will get to do something they haven’t done in a long time. They’ll get to go fishing. And in 2008, when many bands on the Fraser are being asked to ration their catch, that has to count as a miracle in the desert. Mr. Wright said the Okanagan Nation Alliance is excited by this year’s results, but are already thinking about bigger things. They want to bring back the Okanagan’s chinook and steelhead runs too. And now that they’ve succeeded in restoring sockeye to Skaha Lake, they’d like to move upstream and see if they can do the same thing in the much larger Okanagan Lake.